If you see nowadays most of the NOSQL database like Microsoft Azure Document DB, MONGODB etc. also using JSON ecosystem and some of them are based on JSON. As it is such a popular growing system So, why not in SQL SERVER? 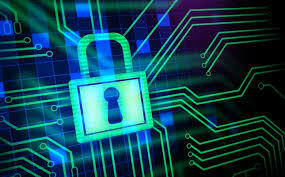 If you see it then conceptually it is similar to XML data type which you might use in SQL SERVER. 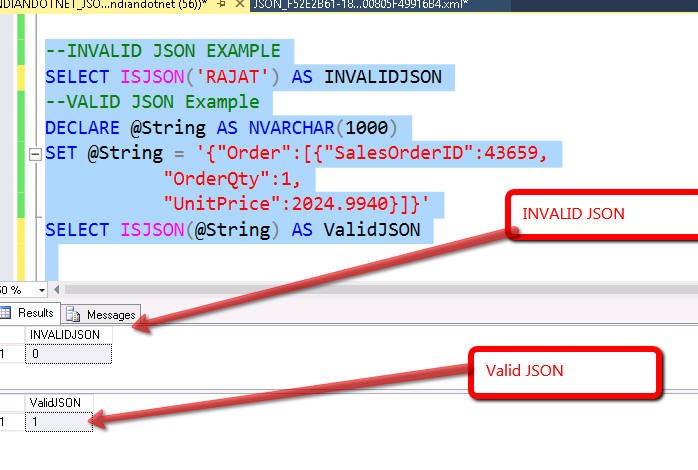 The good thing in SQL SERVER 2016 for JSON there is no Native data type. This will help in migration from any NOSQL to SQL SERVER. SQL server provides bidirectional JSON formatting which you can utilize in a various way. 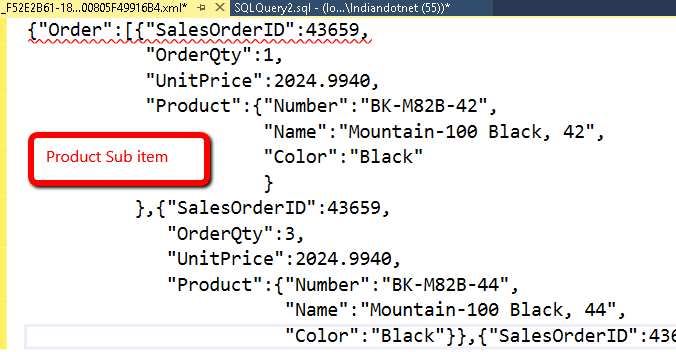 Suppose data is coming from the external source in the JSON format then you can parse it and store in table structure (if required) in another case external source require data in JSON format while data in SQL SERVER in tabular format so both the purpose can easily solve with SQL SERVER’s JSON feature. It is similar to FOR XML AUTO. It will return JSON object of selected column where column name is treated as a Key or in other words we can say it will format the query result in JSON. when you run above command the result will be like as shown in below figure. It’s exactly like JSON auto the only difference is instead of SQL SERVER we have full control over the format. JSON Auto take predefined column schema while with JSON path we can create a complex object. For example, we are using AdventureWorks Sales order table and joining that with product table to get sub-node. If you see in below image we have added Root node as well. This root Node can be added in JSON auto as well if required. By the name, it is clear that this is a validating function. To cross check whether the provided string is a valid JSON or not we can run ISJSON. By the name, it is clear that if you want to get the value of the particular key of JSON then you can use this beautiful function which is JSON_VALUE. There are many other interesting things which we will cover later.